The rapid growth of technology, characteristic of the twenty-first century, has altered methods of human relation. Communicating through Facebook, Twitter, MySpace, and email correspondence can make interpersonal connections seem trivial and dispassionate, but technological advancements can also produce meaningful intimacy. For example, we can video chat with estranged loved ones on the iPhone and reconnect with old friends through social media networks. The resources of cyberspace not only affect how we communicate, but also how we access, preserve, and retain information. On the eve of International Holocaust Day, Yad Vashem announced that the world’s largest collection of Holocaust archives would be incorporated into Google’s overwhelmingly vast pool of virtual documents. Yad Vashem began digitizing their collection in the 1990’s but collaboration with Google is a vast leap for any remote assemblage of archives. What was once only accessible to those who visited the museum on a hilltop in Jerusalem is now available at the fingertips of anyone with Internet access. Now 130,000 photographs from the Holocaust archives can be sifted through with the aid of the world’s largest search engine. Adding to the ease of the search process, the photographs have been scanned using optical character recognition. This means that during a search a photograph can be identified using any text in the picture, even if it is inscribed or written in another language. 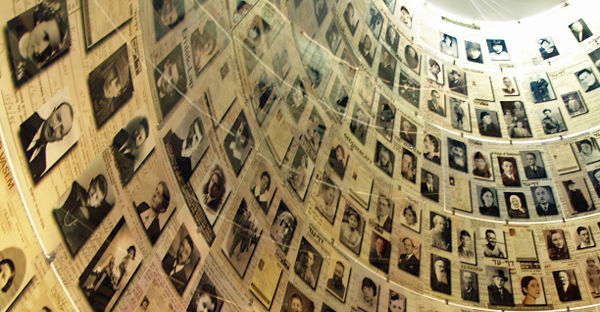 After locating an image on Google, the picture will then link to Yad Vashem’s website where users are encouraged to add their own text in the “Share Your Thoughts” section. To allow for immediate circulation, there are options to link the page to Facebook, Twitter, and Google Buzz. Family history can be published and distributed in cyber space instantaneously, but this isn’t the first time Google has teamed up with Yad Vashem for these purposes. Due to their first cyber collaboration in 2009, Holocaust survivors were able to post testimonials on their own YouTube Channel. Still, this recent project marks only a stepping-stone in Google’s plans to annex Yad Vashem’s collection of millions of documents, survivor testimonials, diaries, letters and manuscripts. For Google employee, Doron Avni, this technological merger meant a chance to search for an image of his grandfather with the click of a button. Avni is a policy manager at Google’s research and development center in Israel and once the project was finished, he immediately took advantage of the opportunity. A recent New York Times article featured his search as a prime example of how history can be unearthed from Yad Vashem’s recent circulation project. Avni’s grandfather, Yecheskel Fleischer, was taken in 1941 after he was released from a Nazi-run prison in Lithuania. After locating the photograph of his twenty-seven year old grandfather, Avni was then able to type in the details of his family’s story. While historical and familial bridges may be gapped, there are always risk factors that accompany the widespread digital circulation of vital information. John Palfrey, co-director of the Berkman Center for Internet and Society at Harvard, said that there are concerns about “the central role a company is playing in the preservation of the world’s cultural information.” Although these photographs are not physically tangible in cyberspace, the opportunity for a broad audience to access these documents will have a profound educational impact as well as a sentimental one. “What my grandfather wanted was for the next generation to know about the Holocaust,” Mr. Avni said. “He would have been inspired by this, to know his message is now being communicated to so many people around the world.” The easiest way to access the next generation is through the twenty-first century’s social, educational, and political playground: the World Wide Web. Google’s gradual acquisition of Yad Vashem’s primary sources will enhance the way in which the memory of the Holocaust can be shared and passed on by those who survived and those who left documents behind.